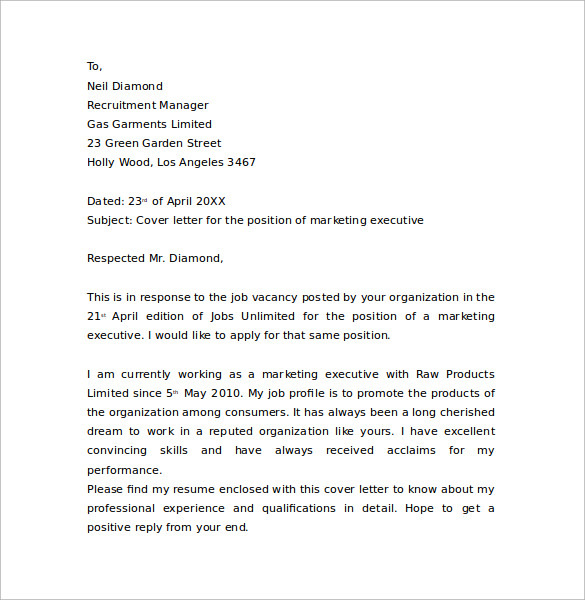 Marketing field probably has the most competition to get in and the task gets harder if you are trying to skip the applicants with a simple resume. 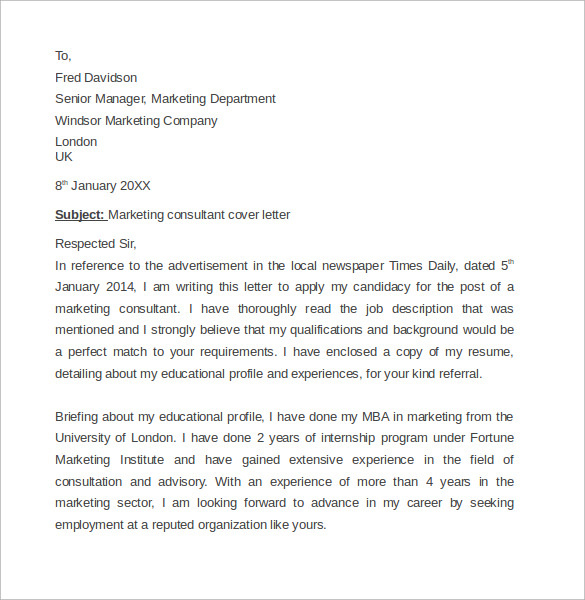 A resume would be at its deliverable best with the inclusion of a cover letter. 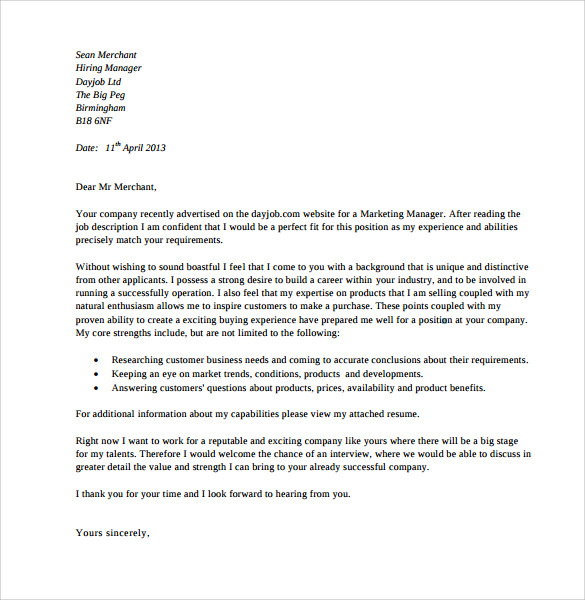 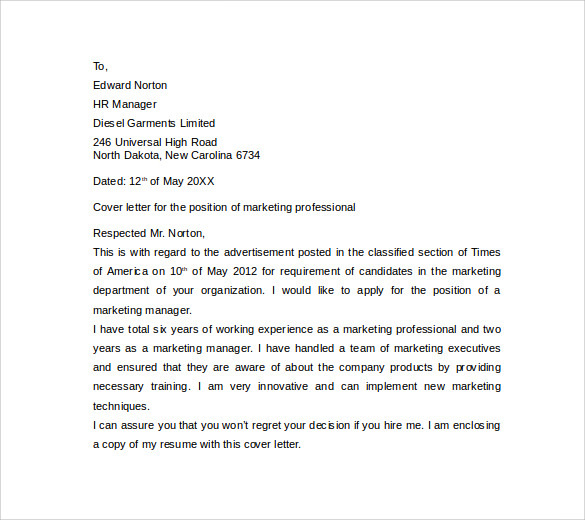 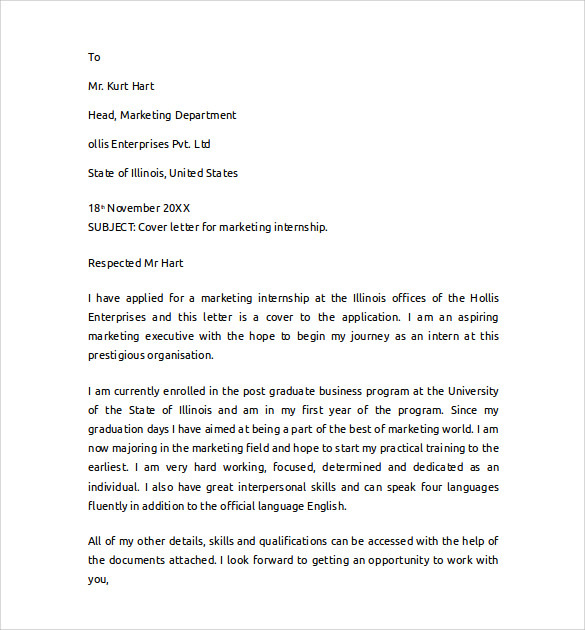 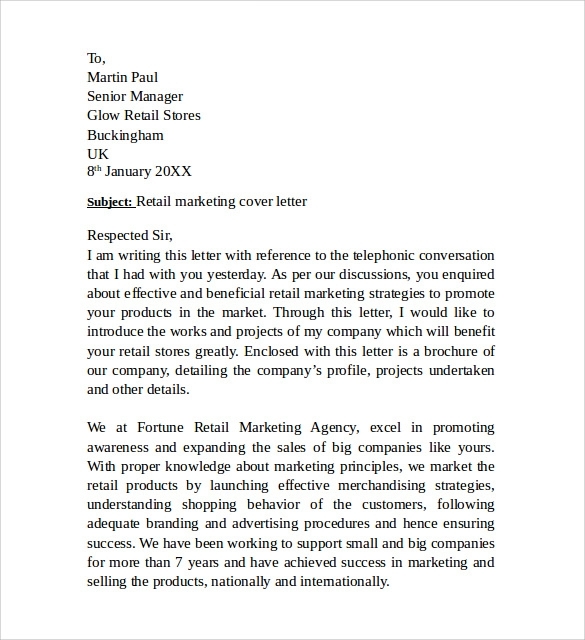 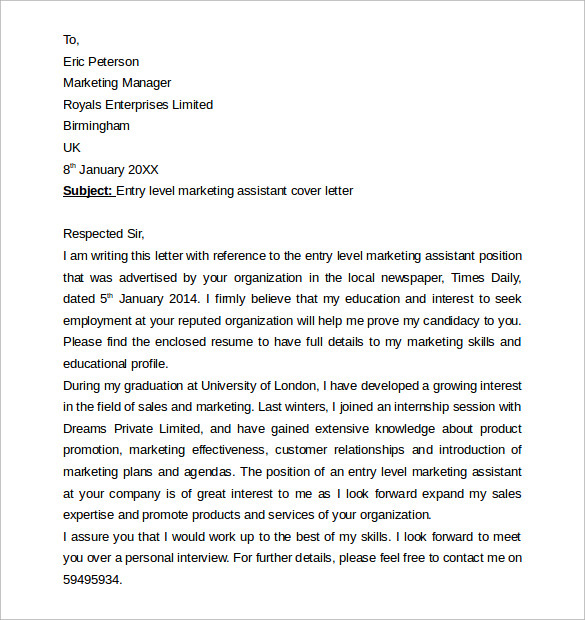 There are many sample marketing cover letter examples available here to authenticate the claim that cover letter is the only way to skip the competition from other applicants.However, remember that downloading a cover letter from our sample Marketing Proposal Template examples alone won’t give you that edge. 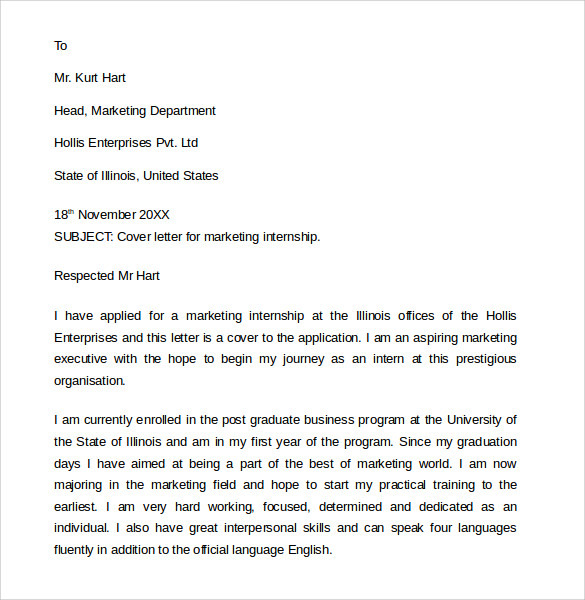 The cover letter has to be filled with merits in a concise manner and should explain why you are the most eligible candidate for the job.